On Tuesday, a Las Vegas judge denied O.J. Simpson’s request for a new trial, based on his claim that his lawyer botched his robbery and kidnapping trial in 2008. The AP reports Simpson can appeal to the Nevada Supreme Court, and then federal courts, but if those bids fail, he’ll continue serving his nine- to 33-year sentence. 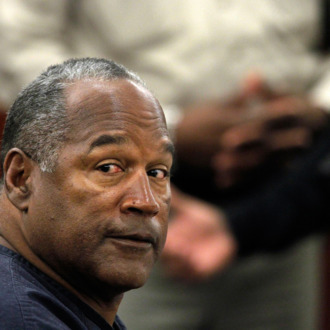 In other Juice news, Simpson’s manager, Norman Pardo, tells In Touch that O.J. might be Khloe Kardashian’s dad. “Whenever I bring it up, he giggles,” says Pardo. That’s a bit more subtle than his last confession.